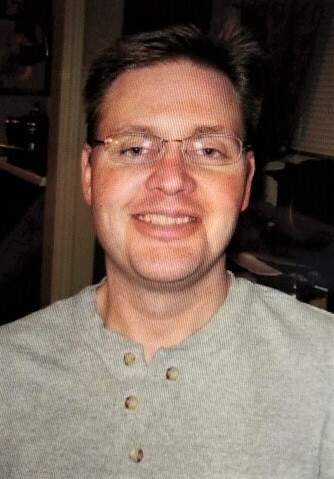 Rocko Robbins, 43, of Amarillo passed away on Thursday, April 11, 2019. Services will be 10:00 A.M. Wednesday, April 17, 2019 at Brooks Chapel with Lee Lale officiating. Arrangements are by Brooks Funeral Directors. Rocko was born September 22, 1975 in Panorama City, CA to Okla Bert and Lucy Robbins. He attended Canyon High School. He was a talented woodworker and spent several years in carpentry. He excelled in trim and fine cabinetry and was featured in a home builders’ magazine in Oklahoma. Rocko loved to fish and hunt, especially when fishing with his family. He also enjoyed playing pool and gaming. He was preceded in death by his father, Okla Bert Robbins, grandparents, Margaret and Lewis Tucek of Canyon and brother, Greg Robbins of OK. Survivors include his mother, Lucy Robbins of Borger; siblings, Cortney Shaller and Josh Robbins both of Canyon; son, Brock Robbins of Grapevine; aunt and uncle, Gary and Jimmie Tucek of Avery, TX; and two nieces of TX and 3 nieces of OK.